For three grace-filled nights in February of 2011, the choir of St. Michael’s Abbey chanted at Segerstrom Hall to introduce and complement Maestro Carl St. Clair’s conception of Anton Bruckner’s Symphony 9 as performed by the Pacific Symphony Orchestra. 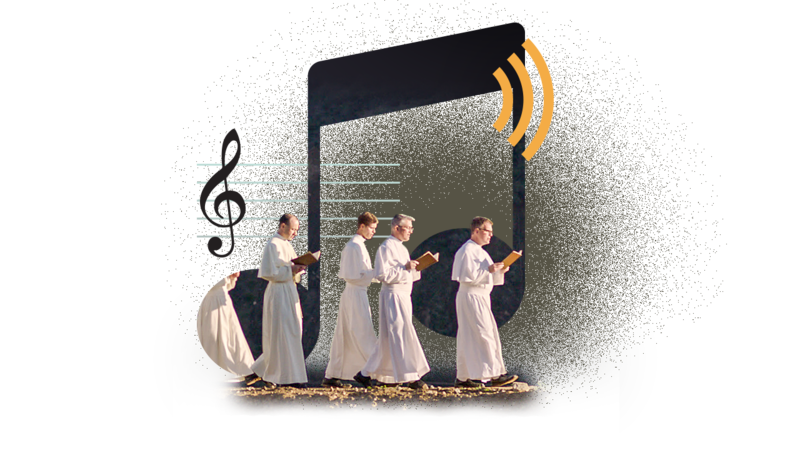 Then, in March of 2012, Biola University asked the Norbertines to chant at the close of their Art Symposium on Sacred Space as a demonstration of what sacred music should fill a sacred space. Although the fathers knew that many of those who heard them would not understand the Latin they were chanting, it was their fondest hope that they would be moved simply to join them in prayer. Since neither of these concert programs were recorded, the Norbertines thought to capture the experience in the only way possible—to produce this album with the same pieces sung before, yet in their very own abbey church.